.... and changing the proportions also helps. Deeper rear window / higher bumper diffuser. Someone tried a centre plate..
OK last drawing and I think we are getting somewhere, split tailgate is back! 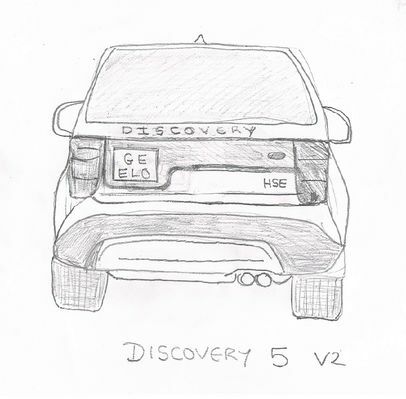 Well that's just it the proportions ARE the D5 its a sketch taken/traced from an actual photograph so they could do something similar with thin side mounted lights and split tailgate. 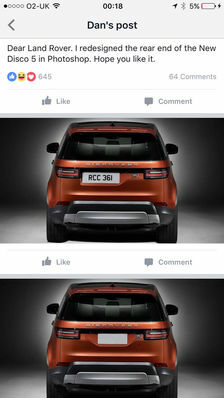 Yep, the vertical rear lights cluster definately balance the fat/high back. The twin exhausts on the right counter balance also the left offset plate...and of course, the beloved split tail gate is back! Interesting sketches and some of them are a big improvement. 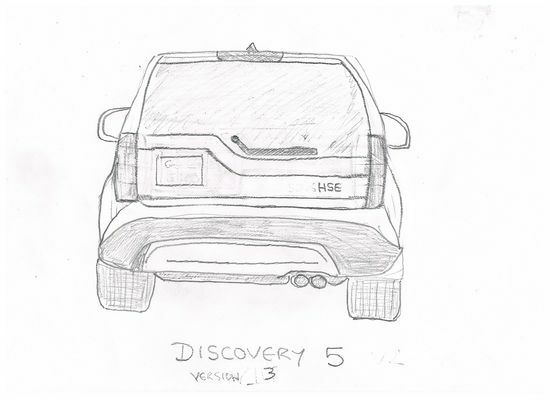 The problem is that to create a useful lower tailgate with a remotely low loading height, the back of the car needs to be much flater, or there is no straight edge to form a hinge (not unless you make a very thick rear lower door and then mount it impractically high). you could make part of the bumper move with the lower tailgate section ? would that reduce thickness or height issue of the tailgate bit ? 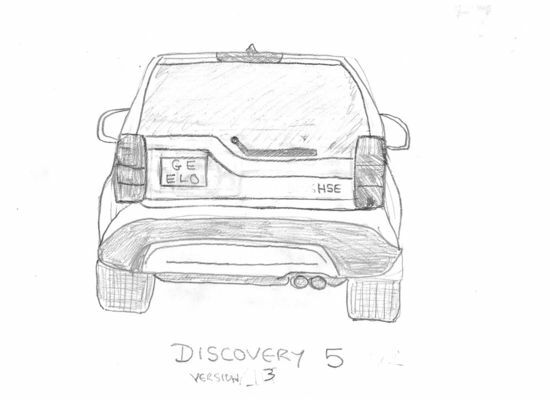 To be honest the redesign even if a single tailgate would be an improvement and at least "Look Right" but I am sure the LR engineers could make a workable split tailgate if they tried hard enough.